Ceramic Industry filters are some of the oldest water decontamination systems in the market. in the 19th century, it was first revealed that filtering water in the course of a porous ceramic media could prevent people from getting sick from cholera and further water-borne illness. Today, ceramic filter systems provide safe, sound, healthy and good tasting consumption water at an easy pocket price when compared to other filtration systems. Choose from Amrit’s ceramic water filter systems that install easy and work efficiently. Amrit Filtration Equipment’s first got on track in catering to the exclusive problems of the ceramics industry in the early 1990′s. With our multi-filament filter fabrics, we launched a ground-breaking new round Filtration fabric in a “Modus Operandi”. This exists as one of the largest well known filter fabric in the manufacturing as it is still renowned as a high performance product and well appropriate to ceramic applications. From beginning to the end, functioning personally with our customers and adopting new enhanced manufacturing techniques. Amrit Filtration Equipment’s now recommends and make you available with the widest range of Filtration entities like filter press panels, dust collector spares & screen printing mesh for enormous applications in the ceramic industry. Developed over a long period of time, the “Multi-filament filter fabrics” is a small-density ceramic element which is extremely effective and competent at handling sub-micron particles in different industrial gas processes. Ceramic filters or the “Multi-filament filter fabrics” have now turn out to be an essential constituent in a multitude of filtration equipment. “Multi-filament filter fabrics” is a part of family of low-density ceramic filter essentials used in the specific filter plants for regular higher temperature applications. Tremendously efficient and even, corrosion-resistant, these “Multi-filament filter fabrics” elements can be brought into use in a most complicated gaseous state of affairs. Ceramic water filters are reasonably priced and successful type of water filter, that immensely rely on the undersized pores of ceramic substance to filter dirt, trash, and bacteria out of the water. Ceramic Industry filtration does not do away with chemical contaminants however, several manufacturers mainly ceramic candle filters include a high-performance activated carbon core in the interior of the ceramic filter cartridge that lessen organic as well as metallic contaminants. The activated carbon take up compounds for example chlorine. Those Filters by means of active carbon call for to be replaced occasionally for the reason that the carbon become congested with unfamiliar material. Amrit filtration equipment avail their customers with this ceramic filtration solution and assure them with the quality quotient an ideal filter provides. Our “Multi-filament filter fabrics” will certainly prove efficient and will be quite easy to operate and thus, will be a huge aid to your work. This is a product of unique innovation and substantial reliability making your rigorous tasks a cakewalk with sophistication. 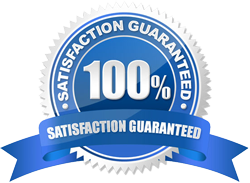 We very much understand the professionalism and our product will deliver the best.